Island-hopping was a war strategy of the United States during World War II in its Pacific Campaign against the Japanese Empire. The United States entered the fighting of World War II after the December 7th, 1941 surprise attack on Pearl Harbor by Japanese forces. At the time the Japanese Empire was quite large and stretched from the Japanese main islands in the north to just off the shores of Australia in the south. Japan also controlled territory to the west in China and Indochina (Vietnam and Cambodia) and to thee Marshall Islands in the east. This vast stretch of territory covered many different countries and thousands of different islands in the south of the Pacific Ocean. 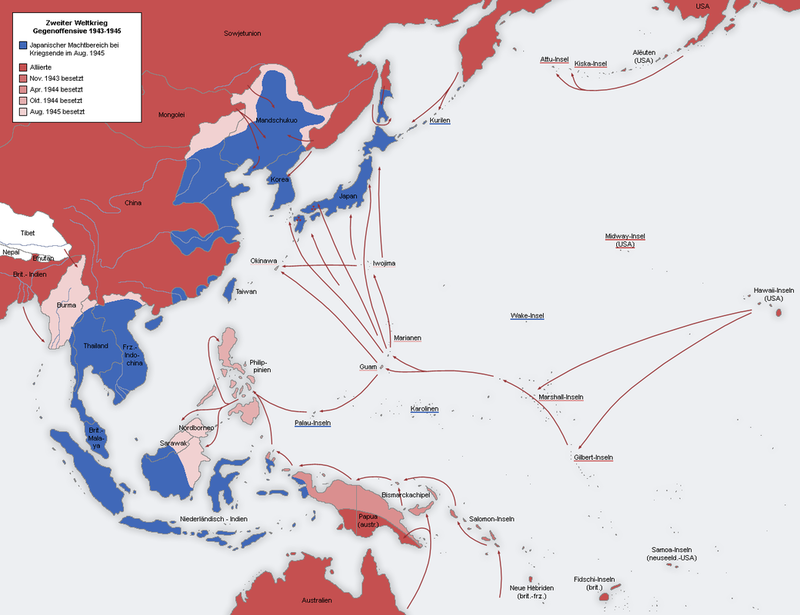 Once the United States undertook its attack against the Japanese Empire a series of key battles took place throughout the Pacific region. The United States first met Japanese forces at the Battle of Midway, before American troops swept south and ​helped prevent Australia from falling to approaching Japanese forces. At this point the United States faced off against Japan at the Battle of Guadalcanal and began its strategy of island-hopping. In all, the vast empire of Japan included thousands of islands throughout the Pacific Ocean and in the prospect of capturing each and every island would have overwhelmed and slowed the American advance as they pushed forward towards conquering Japan. Therefore, American military strategists proposed a plan of island-hopping throughout the Pacific on their way to the Japanese main islands. This called for the American advance to only focus on strategically important islands, such as islands with landing strips and islands that were not heavily defended by Japanese forces. The purpose was to focus on Japanese held islands that would help the United States to advance as quickly as possible. Therefore, landing strips would allow American planes to advance quickly and to resupply troops on the group. As well, avoiding heavily defended islands, if possible, allowed to United States to avoid being bogged down in long battles. 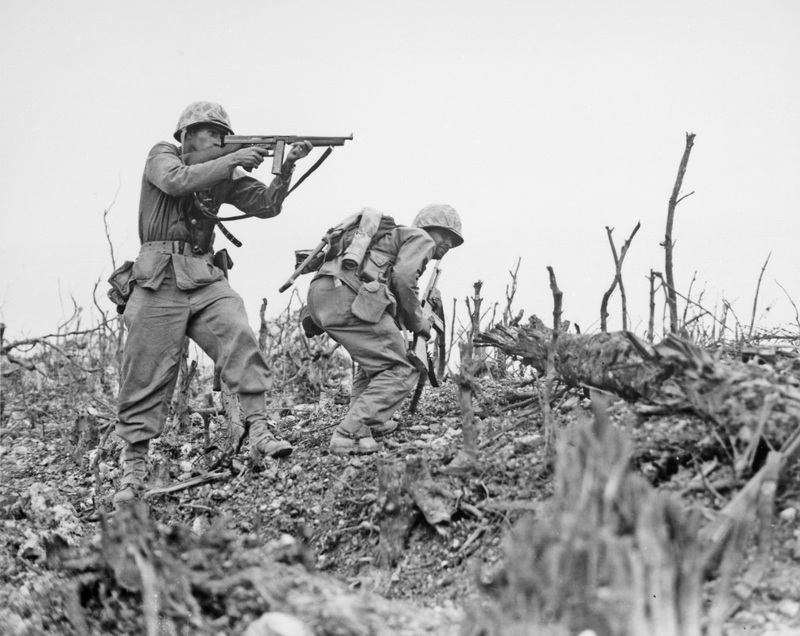 In the end, the strategy proved effective, as American forces were able to advance to just south of the Japanese main islands in just a couple years. This allowed thee United States to get its aircraft carriers and ultimately its long range bombers close enough to the Japanese main islands in order to carry out the atomic bombing of Japan in order to end World War II.